As a professional body, the Pharmacy Forum NI is committed to partnership working to deliver initiatives, projects and campaigns designed to benefit and advance pharmacy practice, improve knowledge exchange and innovation and to enhance patient care and safety. The following is a sample of some of our current and completed projects. The Pharmacy Forum NI is an active participant on the Rebalancing Medicines Legislation and Pharmacy Regulation Programme Board. The rebalancing programme for pharmacy is focused on improving pharmacy services for patients and the public and reducing and removing barriers to the development of pharmacy practice and new pharmacy services. This work is ongoing and is vital to enable the transformation of pharmacy services and to assist the future development of pharmacists’ roles. 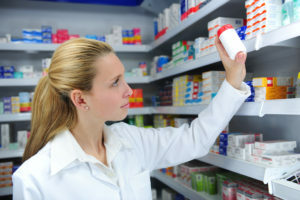 You can find out more about the work of the Rebalancing Medicines Legislation and Pharmacy Regulation Programme Board by following this link: https://www.gov.uk/government/groups/pharmacy-regulation-programme-board. From 16th April 2018, registered pharmacy professionals in England, Scotland, Wales and Northern Ireland, have been able to make use of new defences in the event of inadvertent preparation and dispensing errors in registered pharmacies. On this date the provisions contained in the Pharmacy (Preparation and Dispensing Errors – Registered Pharmacies) Order 2018, will take effect. A copy of the legislation can be found by following the link below. This development represented the fruition of several years of work to remove the threat of criminal prosecution, as part of wider changes for rebalancing between professional regulation and criminal law. Alongside other key stakeholders UK wide, the Forum has been an active participant on the Rebalancing Medicines Legislation and Pharmacy Regulation Programme Board from its inception and in helping to shape this legislation and will continue to do so, as the programme of work continues. Until this point, pharmacy professionals were at risk of prosecution under section 63 (adulteration of medicinal products) and section 64 (sale of any medicinal product which is not of the nature or quality demanded by the purchaser) of the Medicines Act 1968 in the event that they prepare or dispense medicines erroneously. They or another responsible person must also have taken prompt steps to notify any affected patients when the error came to light, unless they reasonably formed the view that this was not necessary (for example they know the patient already knows), for this defence to apply. This Order extends to England, Wales, Scotland and Northern Ireland. The Order will come into effect in all four countries at the same time. The Order was made by the Queen on Thursday 8 February 2018. Following this, a Commencement Order was signed by the Privy Council on 21 March 2018 – bringing into effect the new defences (Article 4 of the Order) from 16 April 2018. This applies to the whole of the UK. As per Government guidance, the new provisions will be reviewed within 5 years of entering into force. PLEASE NOTE: This Order applies only to pharmacy professionals making inadvertent preparation and dispensing errors in registered pharmacies. Hospital pharmacies are generally not registered and do not have the same governance arrangements. Whilst this Order does not provide a legal defence to preparation and dispensing errors occurring outside of a registered pharmacy, prosecutors have been advised as to plans to consult on an Order in respect to extending the defences. A separate Order providing defences to section 63 and section 64 of the Medicines Act 1968, in the case of an error made by a pharmacy professional in a hospital or other pharmacy service (e.g. in care homes and prisons). It is anticipated that draft legislation in this regard, will be introduced to Parliament in the spring of 2019. The Pharmacy Forum NI is committed to seeing this matter addressed at the earliest opportunity. Pharmacy Owners, Superintendent Pharmacists & Responsible Pharmacists – Proposals to clarify the roles, accountability and competence of pharmacy owners and superintendents and the roles of responsible pharmacists. A public consultation took place in 2018 and it is anticipated that draft legislation will be put before Parliament in the spring of 2019. We will keep you updated on progress. Supervision – Reviewing the medicines legislation and developing new proposals to remove legislative barriers to the development of new models of pharmacy service while still ensuring patient and public safety. The Pharmacy Forum NI is part of the United Kingdom delegation to the Pharmaceutical Group of the European Union (PGEU), along with colleagues from the Royal Pharmaceutical Society and the National Pharmacy Association. The PGEU is the voice of Community Pharmacy in Brussels. Their main objective is to advance the contribution of Community Pharmacists to European health systems, society and individual patients. The PGEU represents the community pharmacy perspective in relation to legislative and policy initiatives at EU level which affect our profession and/or public health. The organisation maintains regular contacts with the European Commission (including DG SANCO, DG Enterprise, DG Internal Market and DG CONNECT), the European Parliament, the Committee of Permanent Representatives (COREPER) and the Economic and Social Committee. 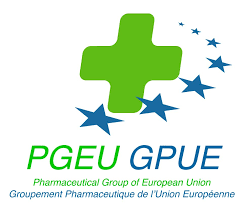 PGEU is part of a network of over 10 European Healthcare Professionals’ Organisations via which European Medicine Agency engages with healthcare. You can obtain further information about the activities of the PGEU by following this link to their website: https://www.pgeu.eu/en/pgeu/what-is-pgeu.html. As a member organisation, the Pharmacy Forum NI is pleased to support the Commonwealth Pharmacists Association (CPA). Their objectives are to promote and disseminate the pharmaceutical sciences throughout the Commonwealth and to improve the quality and range of services offered there by professional pharmacists. The 54 countries of the Commonwealth, cover a quarter of the earth’s landmass and is home to approximately one-third of the world’s population, half of whom are under the age of 25. For over 40 years the CPA has worked to establish, develop and maintain the highest possible professional standards of pharmacy throughout the Commonwealth. Working collaboratively, it supports the achievement of the Millennium Development Goals (MDGs) set by United Nations which seek to reduce child mortality, improve mental health and combat HIV/AIDS, TB, malaria and other diseases. It lobbies for the appropriate use of pharmacists and their staff and their inclusion in planning and policy-making at all levels to help governments to achieve these goals. Specifically, it seeks to support pharmacists in improving the health and welfare of the populations they serve. You can find out more about the work of the CPA and how it benefits others, by following this link to their website: www.commonwealthpharmacy.org. Advocacy – support to national organisations in their negotiations/deliberations with government and has a proven record of beneficial outcomes in this area. Access to a dedicated members’ area within its website and soon to be introduced online resource articles and accredited education and training courses as well as discounts from the Pharmaceutical Press. CPA also makes annual donations of the BNF to member organisations and is practical way that UK health professions contribute to the quality of therapeutic care in developing countries. Promoting Professional Organisations – CPA support on regional projects, workshops and seminars can help strengthen and promote the profession and enhance the role of organisations within national health infrastructures. Representation – of pharmaceutical interests in international and Commonwealth forums. CPA is an accredited body with, for example WHO and the Commonwealth Association.